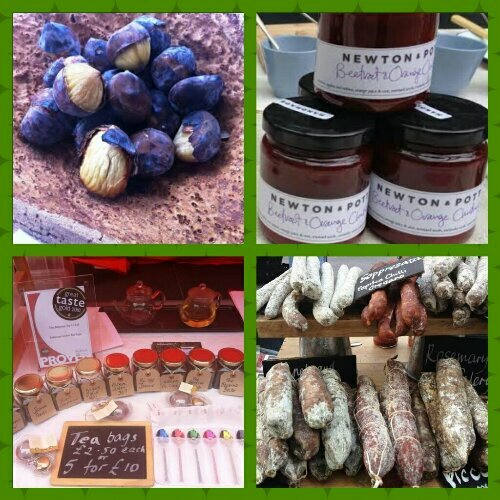 The dapper trio that form ‘What The Dickens’ have managed to do the unthinkable; make me eat – and like – a pork pie. 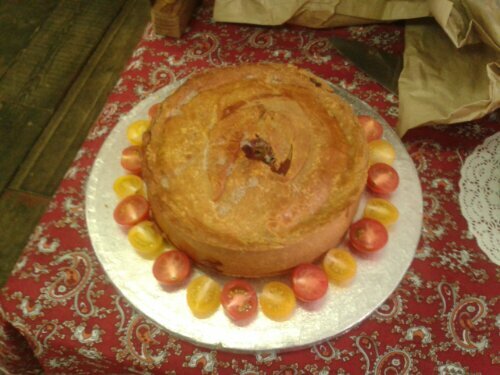 Read my separate blog post about my newfound love of pork pie for the full explanation of my bias against the traditional British grub and how a delicious, Christmas-spiced variety bought from these gentlemen has revolutionised my summer picnic menu. 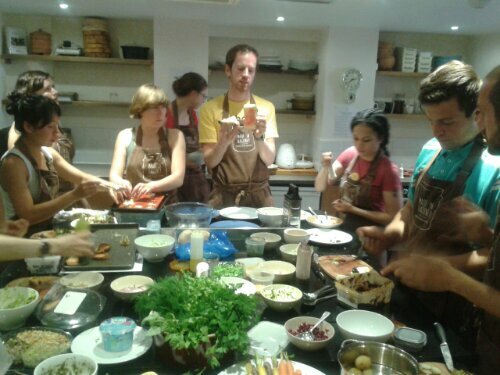 A full workshop review will follow soon but, suffice to say, learning to make canapés with ethically sourced local ingredients under the guidance of supperclub extraordinaire Ian Ballantyne was fun, educational, inspirational and a great way to meet new people. I love anything which takes the normal and turns it on its head and the guys at ‘Rebel Bakery’ do this brilliantly with their range of sweet treats made with vegetables. A vanilla sponge has courgette in the mixture, while chocolate is made with carrot. 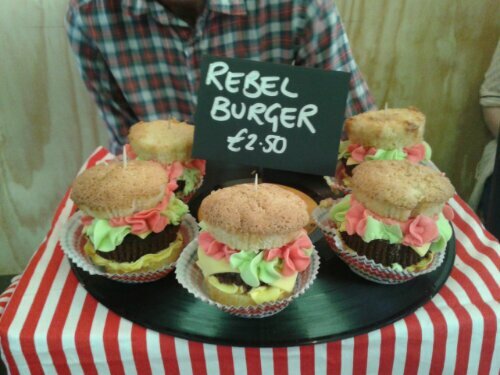 Try both flavours in the stunning Rebel Burger cupcake; fun, delicious and different. Who knew that painting quirky porcelain shapes could be so much fun? 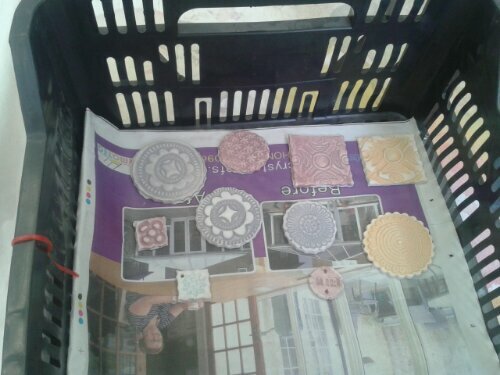 North London based ‘Doodle Designs’ offer classes for all the family and there’s nothing more satisfying than making your own ceramic ware – from brooches to ornaments – before getting to paint them in a range of pretty colours: I can’t wait to see what my pieces will look like after their final firing! #5 Doughnuts By You Doughnut! Why did no-one tell me about these guys before? 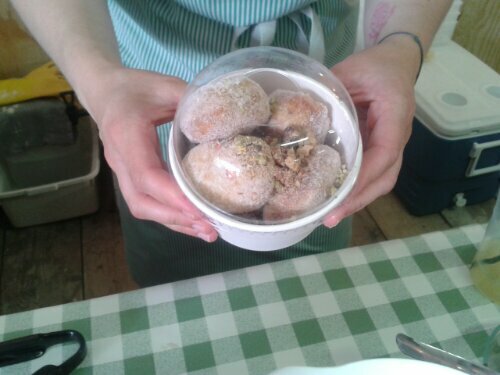 Their freshly made, airy doughnuts with a delicious choice of toppings including nuts, sugar strands, marshmallows and chocolate or caramel sauce are sinfully good!